In the past people who watercooled their PCs were those who wanted to get more out of their hardware by overclocking it. Overclocking causes the hardware to operate at a higher speeds which in turn creates more heat. Watercooling is a more efficient way of dealing with that heat. The most common way of cooling a computer is using large heatsinks and fans running at high speeds. The secret behind air cooling is fans; lots of them. All that's quickly changing. Enthusiasts have been watercooling for years and now that's starting to trickle over to the average user. A few of the best advantages of watercooling include efficiency, minimal noise and the fact that watercooling just looks so awesome. Let's dig deeper into the advantages of watercooling and what options are available for you. The cooler you can run your hardware components; the longer they'll potentially last. When you add in how quiet watercooling is you can start to see the appeal behind it. The standard way of cooling your computer using heatsinks requires fans to run at high speeds due to the low surface area. Watercooling employs radiators which maximize the available surface area. Allowing you to run your fans at much lower speeds which in turn keeps the system very quiet. This becomes especially important for industries where background noise can be a major enemy. Personally a quiet PC is very appealing. It's hard to deny how good a custom watercooled PC looks. Being able to turn each hardware component into a functional work of art is very exciting. Your PC becomes an extension of your personality. Hardline which is usually made from PETG or acrylic is quickly becoming the standard. 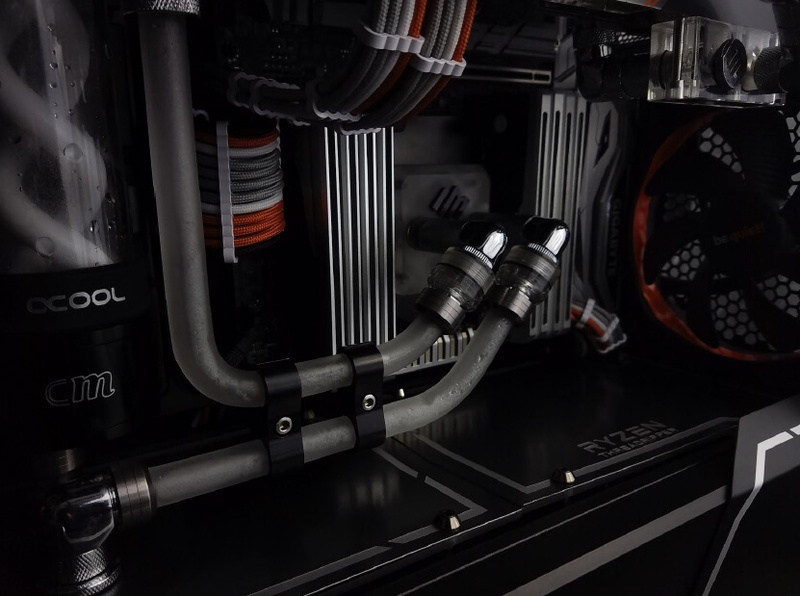 In the past people used soft, flexible tubing which is easier to install but tends to not look as good as hardline tubing does. There are advantages with soft tubing. It's much easier to route and has less chance of faulty installation for new users. Another big plus of soft tubing is the cost; it requires less adaptors and fittings. To watercool or not to watercool? Fortunately watercooling manufacturers have started to realize that consumers face these struggles quite often. 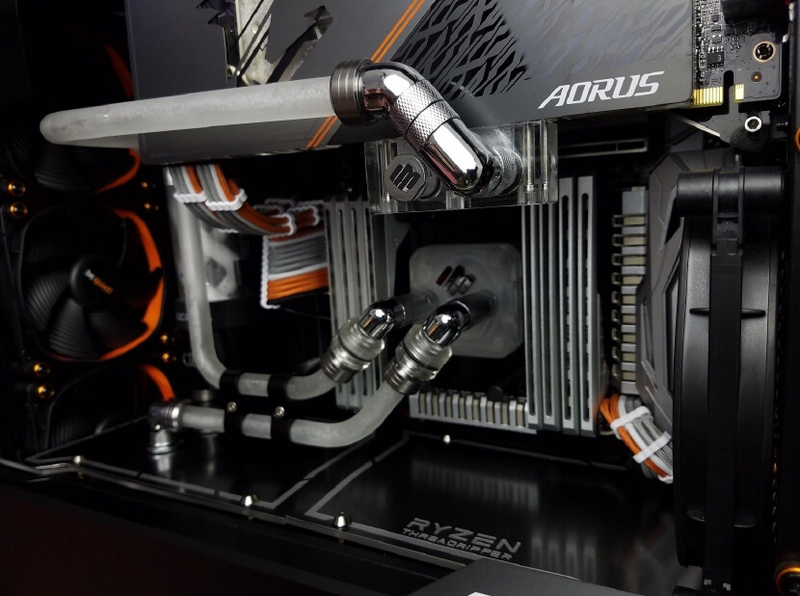 New solutions coming to market allow you to have the best of both worlds by offering expandable kits that help take the worry out of watercooling. These kits take the best features from having an AIO (all in one) cooler and match them up with more of a custom loop design using modularity. AIOs will help keep your PC quieter and are sealed from the factory. They're also referred to as a closed loop system. While an AIO isn't as effective as a custom watercooling loop; it can serve as as a wonderful first step towards fully watercooling your system. needed as well as pre-built systems. Pre-built PCs with watercooling is a great way to get into it. They've already determined the best setup and put it all together. These options take a lot of the concern out of watercooling . So, which direction should you go? Air cooling or water cooling? The answer to this question greatly depends on you and your uses. As with most things in life, one answer doesn't fulfill each situation. If you're still on the fence between air and a watercooled PC; try getting a watercooling kit, AIO or pre-built watercooled PC. It can be daunting taking that first step but, it quickly becomes easier. After trying watercooling out, it's hard to remember why you ever air cooled your PC to start with.